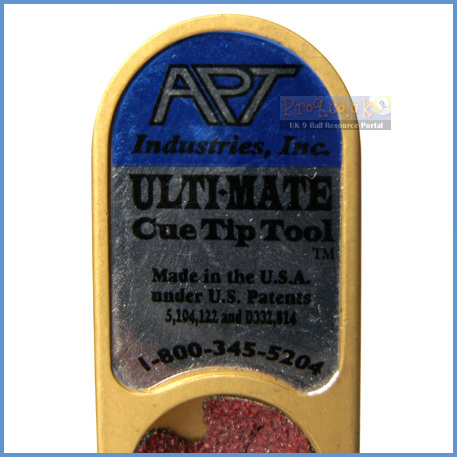 This is one of the most popular cue tip tools ever made - probably because it's so incredibly versatile. 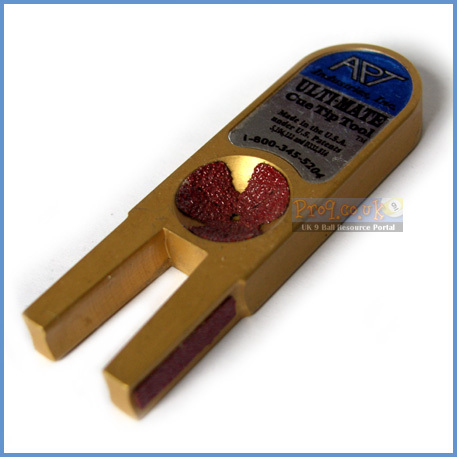 The front has a tip shaper in the recommended "Nickel" radius, and the rear has the alternative "Dime" size - replacement abrasives are available for both. 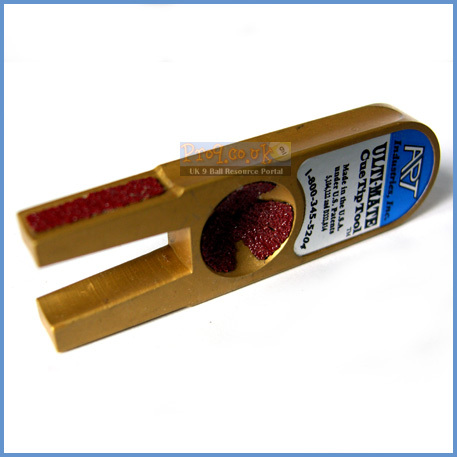 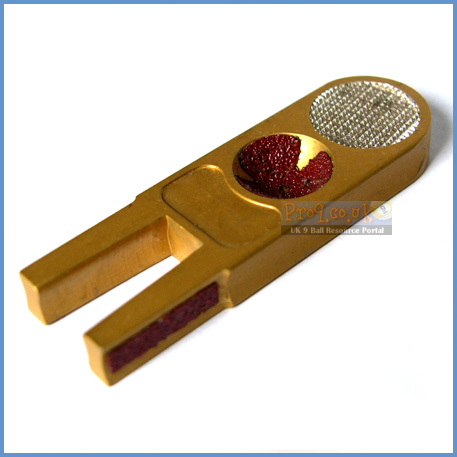 This solid, brass coloured tool also sports a handy "texturiser" on the reverse, for ocassional roughening of the tip.